Chagall LL2570 054 Sunglasses ! Chagall Sunglasses. Model LL2570 054. 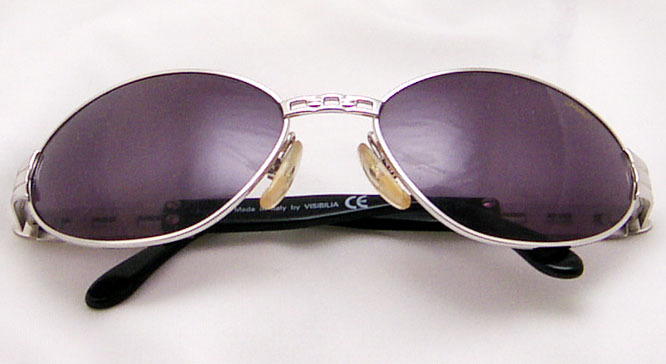 White Metal frame with blue-purple lenses. Near sign on any part. on the inner side of right ear piece. on the left piece of the lenses. Vertical height of the frame: 41 mm.